It’s Back. The Chevrolet ZR1 again is back for the 2009 model and if you haven’t yet got your ZR1, you still have a chance at one of the most profound Corvettes ever created. With GM on the ropes, many are doing their “just in case” shopping in the case that this year’s Corvette is the last. So for Corvette Lovers, there is no need to introduce the ZR1, it is the ultimate American sports car and while many other American vehicles have done well against it- specifically the Dodge Viper, the Corvette is still king of the American roads. Here are just a few of the 2009 tech specs for this truly phenomenal car that is perfect for the road and the track. First off the ZR1 has a huge engine- 375 cubic inches which means that there will be plenty of power and fun found under the hood. 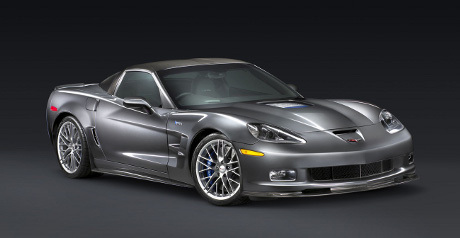 As far as horsepower is concerned, the ZR1 for 2009 delivers a staggering 638 hp and 604 lb ft of torque. With this amount of power, you don’t have to worry about any car trying to take you at the stoplight. This Corvette is so fast, we are talking cheetah territory. The ZR1 accelerates from 0 to 60 in an amazing 3.4 seconds- eat your hearts out Italian car makers. It also runs the ¼ mile in the low 11’s and hits a speed of just over 129 mph. If you are interested, you can get to 0-100 in less than 7.5 seconds and 120 mph in 9.8 seconds. This car is unbelievable. And with great acceleration comes great braking- 60 to 0 in 102 feet and 80 to 0 in about 183 feet. All in all the new ZR1 is an excellent car and priced at less than $120k fully equipped well worth every dollar.